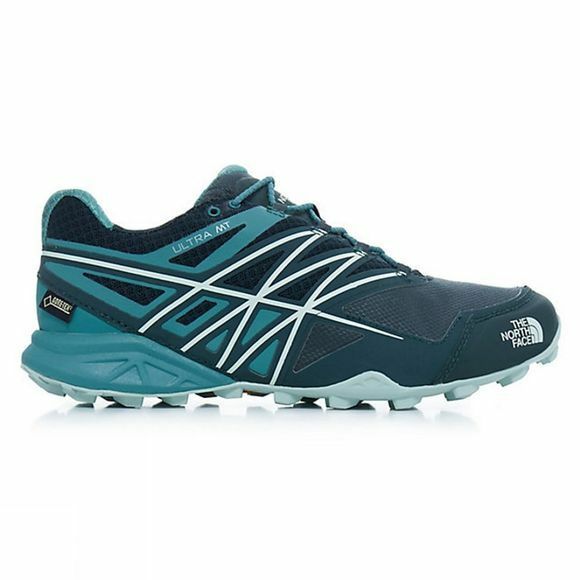 The Women's Ultra MT GTX Shoe from The North Face is a durable trail running shoe for the most demanding courses. It is fully waterproof and breathable thanks to the Gore-Tex membrane while the FlashDry collar lining helps to keep you dry and blister-free on the inside. Snake Plate technology offers excellent underfoot protection against protruding stones and tree roots while the Vibram Megagrip outsole ensures excellent grip that will help keep you on your feet at all times.